While most parents understand the importance of promoting literacy in their young children, they often aren't sure how to do it. This book provides guidance. Taking a literacy-throughout-the-day” approach, the authors organize the book around spaces in the home-the kitchen, bedroom, living room, and so forth-and suggest fun, stimulating activities for building children's reading, writing, listening, and speaking skills in those spaces. 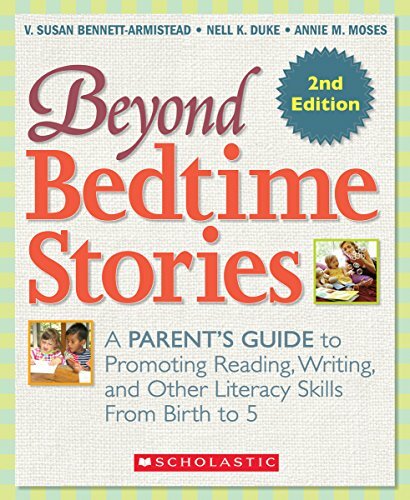 Filled with tips, photos, milestones to watch for, and great ideas to try today, Beyond Bedtime Stories is essential reading. For use with Grades Infant-K. If you have any questions about this product by Scholastic Teaching Resources (Teaching, contact us by completing and submitting the form below. If you are looking for a specif part number, please include it with your message.